Real Snail Mail: Educational Version. Vicky Isley & Paul Smith (aka boredomresearch) are using Real Snail Mail as a vehicle to enrich a school's curriculum. Educational workshops and lesson plans are being built around the RSM Educational version to encourage creative interrogation of en-grained paradigms in an effort to promote innovative thinking regarding future technologies. 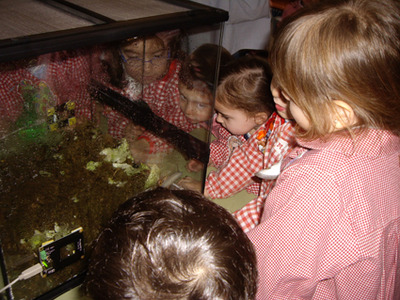 The first pilot project launched on the 19th February 2010 at the Gloria Fuertes Infant School located in Gijón, Asturias supported by Laboral Centro de Arte y Creatión Industrial, Gíjon, Spain.